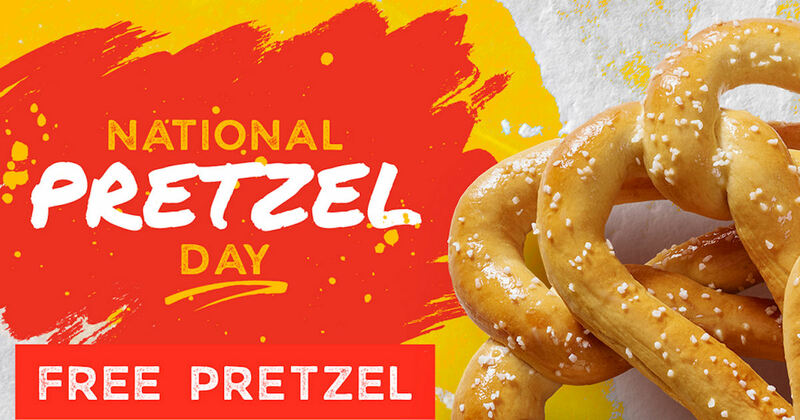 Get a free pretzel at Pretzelmaker during National Pretzel Day on April 26th! Download the app, check your app on April 26th & your free pretzel will automatically be added to your account. Participating locations only. Valid for Salted or Unsalted Pretzel only.